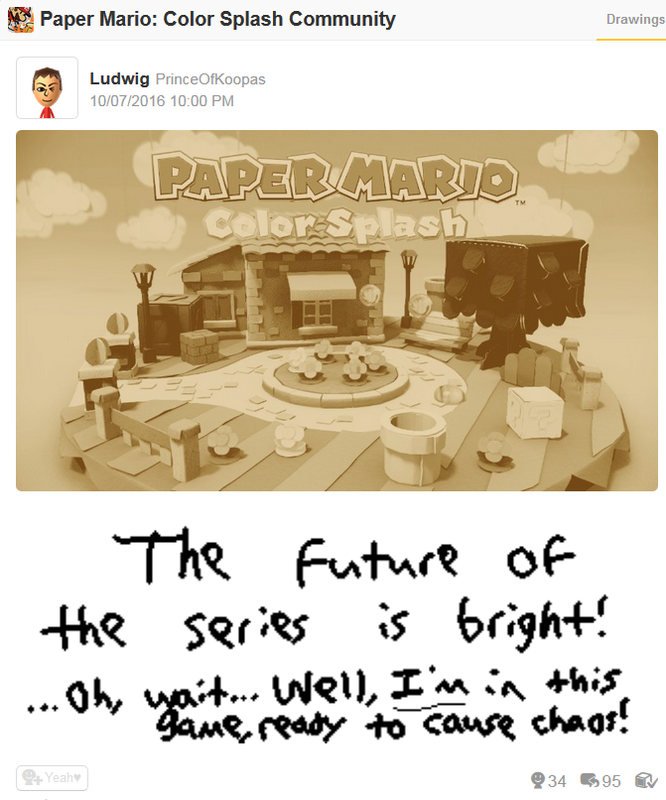 KoopaTV: Paper Mario: Color Splash's Release! I believe that you meant to say "bucket of losers" in the tagline. I also plan on picking the game up once it goes on sale throughout the holiday season. Hillary sees someone as a loser by default. You're born a loser. To be a deplorable, you have to actually take some kind of action or thought process. So, if we want people to take an action (purchase Paper Mario: Color Splash), they would become a deplorable. Assuming it goes on sale! Mafia 3 was a better October 7th release. Um... How was it better, and how would it being better make anything in this article invalid? It's better because it is actually a title /worth/ playing. And all of your articles are invalid. I've played Color Splash for six hours now, and if it weren't for the limitations of needing sustenance, I'd keep going. Look up what “invalid” means. Oh? Are you going to write a guest post reviewing it? I haven't exactly played the game. If you actually start making decent comments, you can get partially reimbursed by the KoopaTV Loyalty Rewards Program! I don't know if I should listen to you,seeing as how you were aginst Majora's Mask 3D. However, Majora's Mask 3D was still awarded best 3DS game of 2015 by the website at large. You still weren't on board. Wait did you really vote it best 3DS game of 2015? Yes, we did. As a collective organisation. I'm still against the decision to this day. I wish Pokémon Super Mystery Dungeon won. Super Mystery Dungeon was too short. My Activity Log has it at 152:07 play time. I'm very satisfied with my hourage with Pokémon Super Mystery Dungeon, and it was all enjoyable. That's older then whatever the oldest thing is. It's even older than the Internet itself? Almost as whack as this website. Almost, but we don't try to bend space-time. May be easier for me to wait for a sale. I am trying to clear out most of my current backlog of games so this can wait. ...Yeah, I agree that there's actually little incentive for anyone to buy this right away. 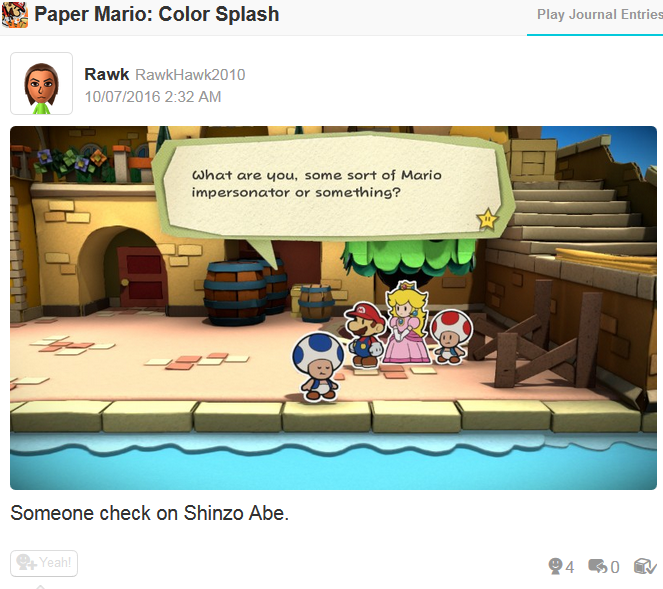 I'd like to post on Miiverse about this game, but I've been perma banned. Apparently, they don't like you pretending to be a mod and telling people to delete posts. ...Uh... That should be okay, depending how you word it. You ought to call Nintendo this week about it.